UHMW is ultra-high molecular weight (UHMW) polyethylene bar with excellent high abrasion and impact resistance properties. UHMW is a high crystalline, high-density polyethylene polymer with a median molecular weight that falls within the range of 3.1 to 5.0 million. UHMW machined parts will outwear all other materials like metals, nylons, or fluoroplastics. This plastic has the same qualities of other polyethylene plastics. Since the UHMW material resists wear, corrosion, and friction it allows for an extended equipment life and can cut maintenance costs. There are a variety of UHMW applications, including gears, rollers, wear plates, bearings, and more. 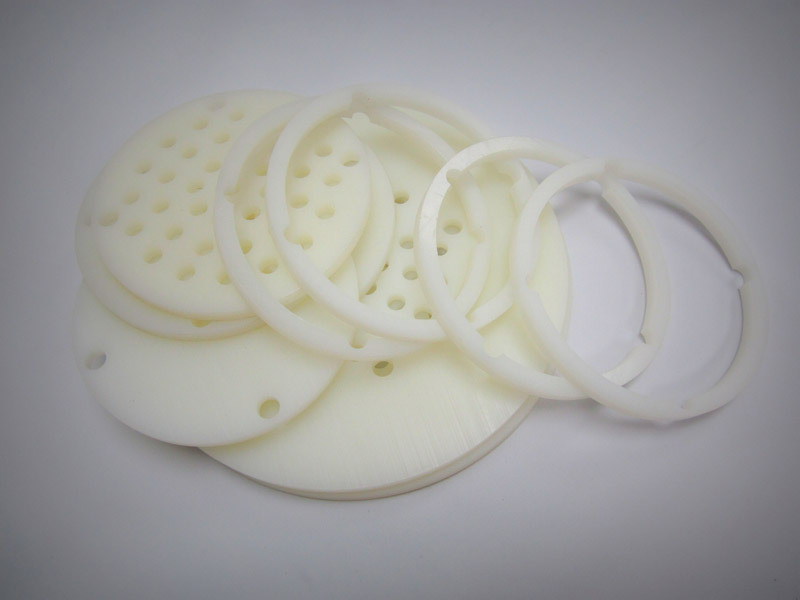 Parts machined from UHMW polyethylene showcase an exceptional combination of outstanding properties. High abrasion resistance, low coefficient of friction, self-lubrication, non-adherent surface, excellent chemical fatigue, impact resistance, ease of machinability, and good noise dampening properties, are all inclusive of UHMW. Its outstanding characteristics embrace very high resistance to wear and abrasion, and high performance at extraordinarily low temperatures (i.e. liquid nitrogen -259 degrees C). Only when temperatures reach 185 degrees F, will UHMW start to soften and lose its abrasion resistance characteristics. However, custom UHMW machining to close fabrication tolerances is easily achieved through Vanderveer Industrial Plastics' CNC machining abilities. For additional information on UHMW plastic materials, contact your local Vanderveer Industrial Plastics representative or call Vanderveer Industrial Plastics at 714.579.7700.